Very often, salads in Hong Kong are made from imported vegetables and are very expensive to make at home or to order at restaurants. I got this idea when I ordered too much Chinese zucchini for the restaurant. My intention was to shred it very finely and quickly sautee or blanche them and serve as part of a main course. The shreds were too delicate and the result was too mushy. So I thought if I could dress this in a light dressing it would work very well as a salad. I mixed some shredded carrots into the zucchini for crunch and colour and tossed it in a light yuzu dressing. It worked splendidly. 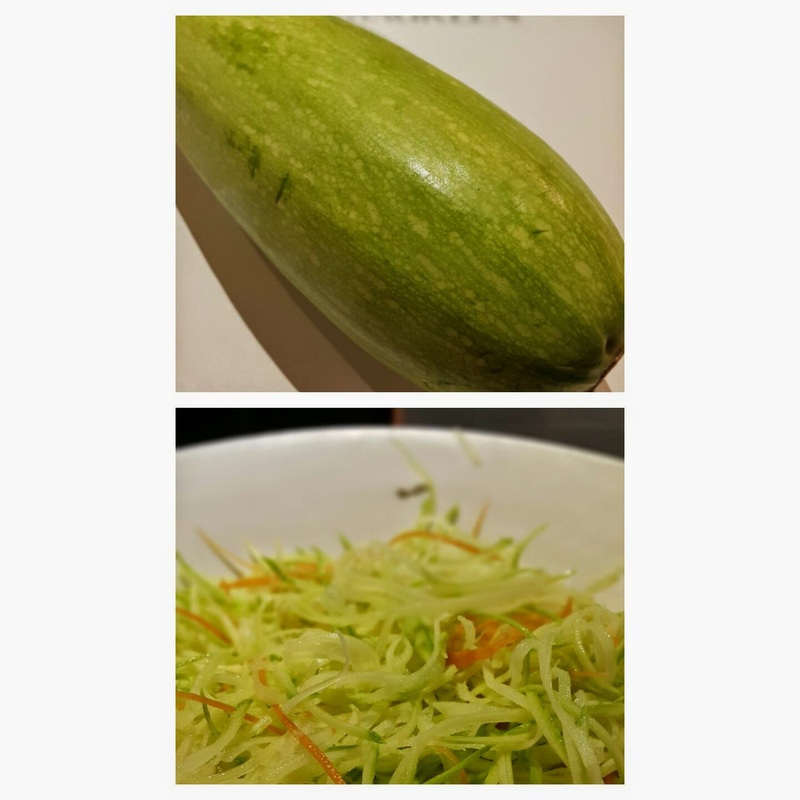 The chinese zucchini was light, sweet and worked very well. So next time you want a salad, go to the local market for ideas and not just fancy supermarkets for ingredients!